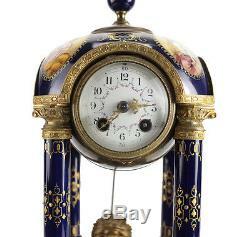 Description: Antique Royal Vienna porcelain mantel clock. 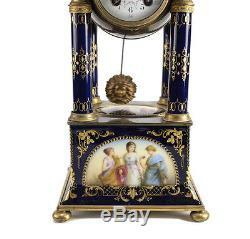 A late 19th hand painted porcelain bronze mounted mantel clock. Temple form with porcelain columns and dome. 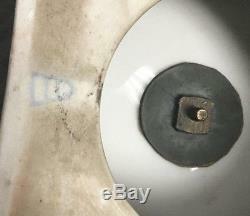 The underside of the mounting brackets reveal the blue Royal Vienna shield or beehive. Measures: 6 x 6 x 14 inches. Condition: Excellent, minor gilt loss to porcelain and bronze. 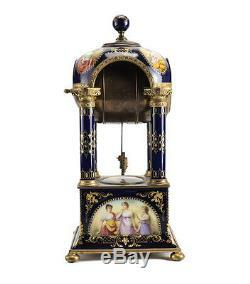 Please view our selection of quality items. It's just the tip of the ice berg. 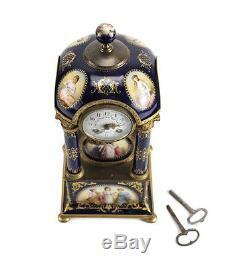 We are prompt and professional with our correspondence and appreciate you taking the time to shop with us. "You are only as good as your last feedback". 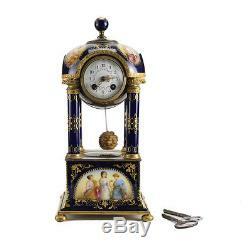 The item "Antique Royal Vienna Hand Painted Porcelain & Bronze Mantel Clock, 19th Century" is in sale since Monday, January 9, 2017. 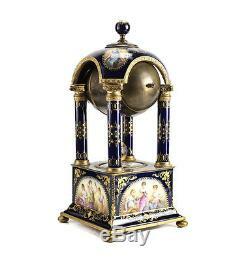 This item is in the category "Antiques\Decorative Arts\Clocks".